A new study by Oregon State University and the Oregon Department of Geology and Mineral Industries is calling attention to the fact that the biggest waves hitting the Pacific Northwest are now significantly larger than they were only a few decades ago. The increase is most dramatic in the far north and, so far anyway, barely detectable in Central California. 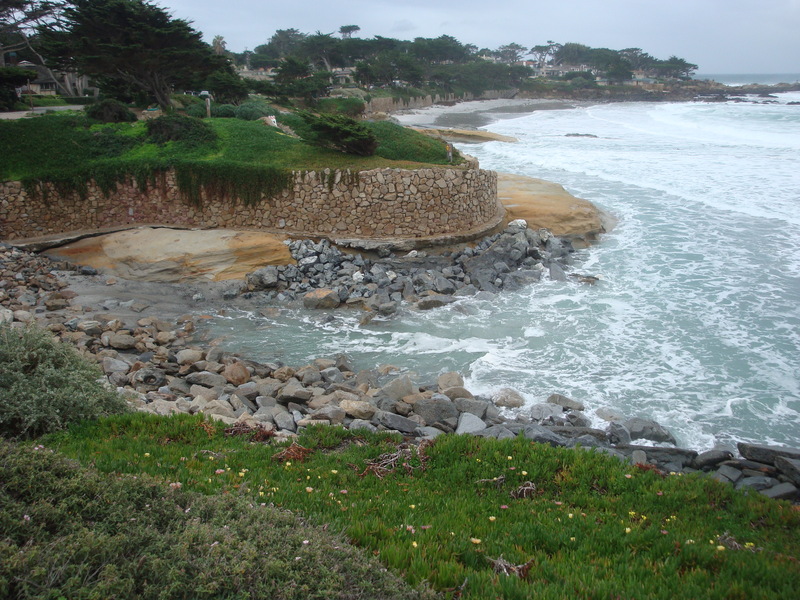 Whether the increased wave heights are being caused by global warming (likely) or by some unrelated change in ocean dynamics (possible), bigger waves are certain to accelerate coastal erosion rates and cause damage to coastal development far beyond what is expected from rising sea levels. Meanwhile, back on the Central Coast, the moderately large waves generated by the past week of storms are putting on an excellent demonstration of how coastal erosion works. 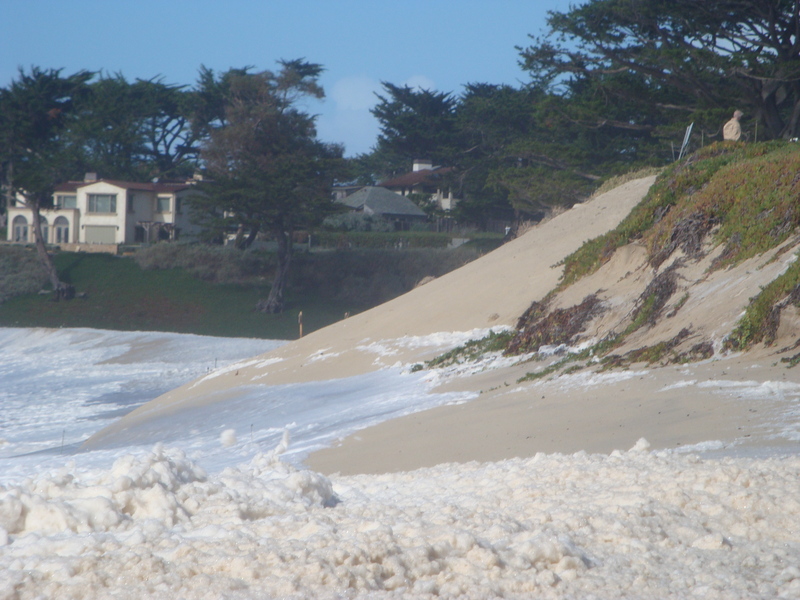 The process begins as waves remove the barriers of sand (i.e. the beaches) that normally protect the most vulnerable parts of the coast from the surf, bringing the ocean, even at low tide, right to the bottom of easily erodible bluffs. 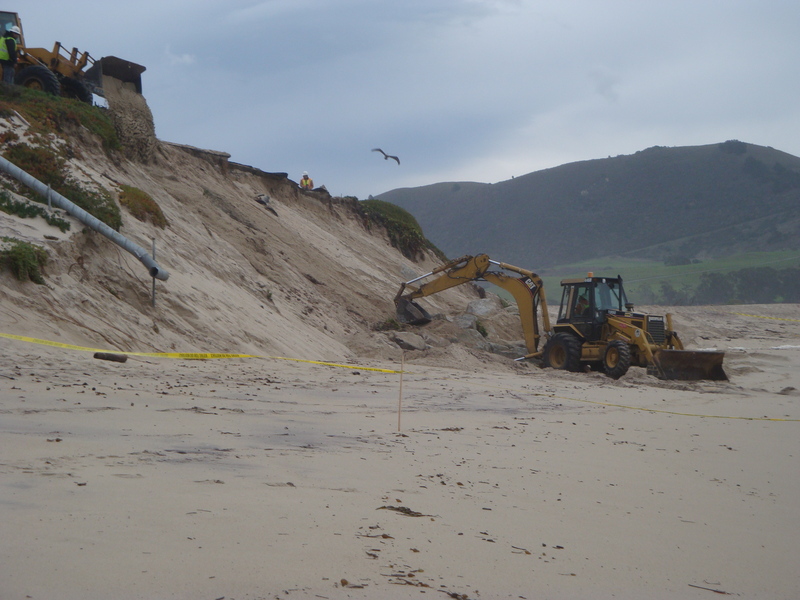 Until gentler surf replaces the sand, serious erosion is certain to continue. 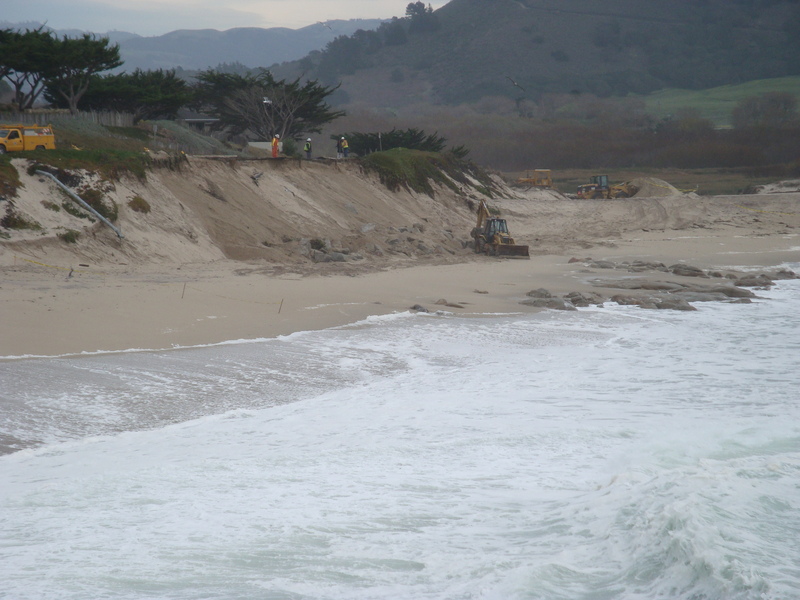 Already, waves have undermined Highway One along the South Coast and Scenic Rd. 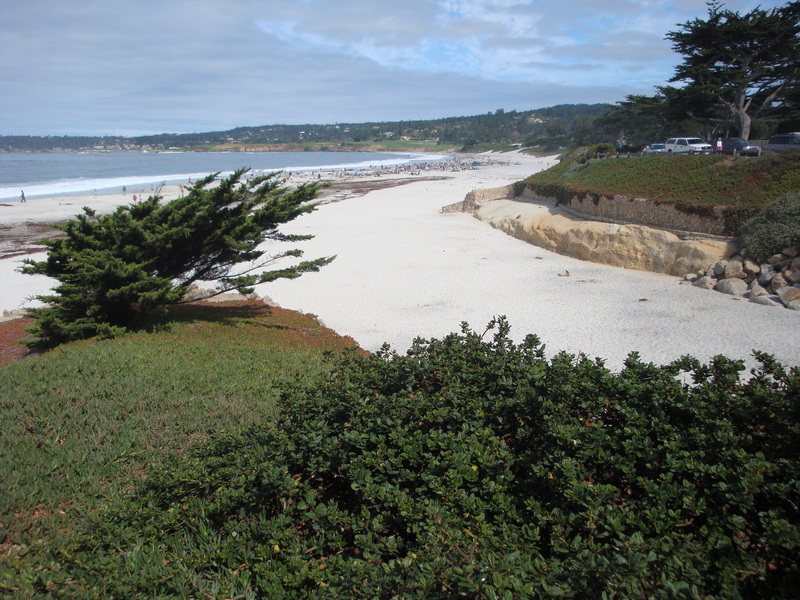 in Carmel. This entry was posted on Tuesday, January 26th, 2010 at 12:06 pm and is filed under Coastal Development/Erosion, Fire, Flood & Apocalypse. You can follow any responses to this entry through the RSS 2.0 feed. You can leave a response, or trackback from your own site. A very current and graphic depiction, XT. Thanks.